Chem-Dry of Lafayette understands that businesses want to provide clean and healthy environments for customers and employees. 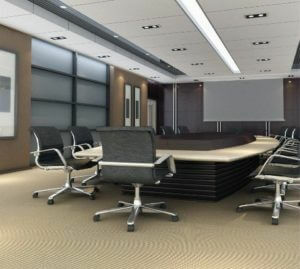 We also understand that companies spend millions of dollars on upholstery, rugs, carpets, and furniture. We are here to help protect those investments and keep them healthy and looking great. Cleaner. For deeper cleaning, we use a unique hot carbonating extraction cleaning method that employs the bubbly properties of carbonation to penetrate deep into your carpets. Drier. Chem-Dry uses 80% less water than typical steam cleaning, delivering drying times of 1-2 hours rather than 1-2 days. Healthier. Chem-Dry has specially designed, green-certified cleaning solutions that are safe and non-toxic for your employees and customers. Chem-Dry of Lafayette has received the coveted seal of approval from The Carpet And Rug Institute. This serves as proof that we provide high-quality cleaning services and guarantees that you are receiving a proven service that works! To receive the CRI seal of approval, we met thorough standards in the following areas: soil removal, water recovery, fiber protection and cleaning solution certification.